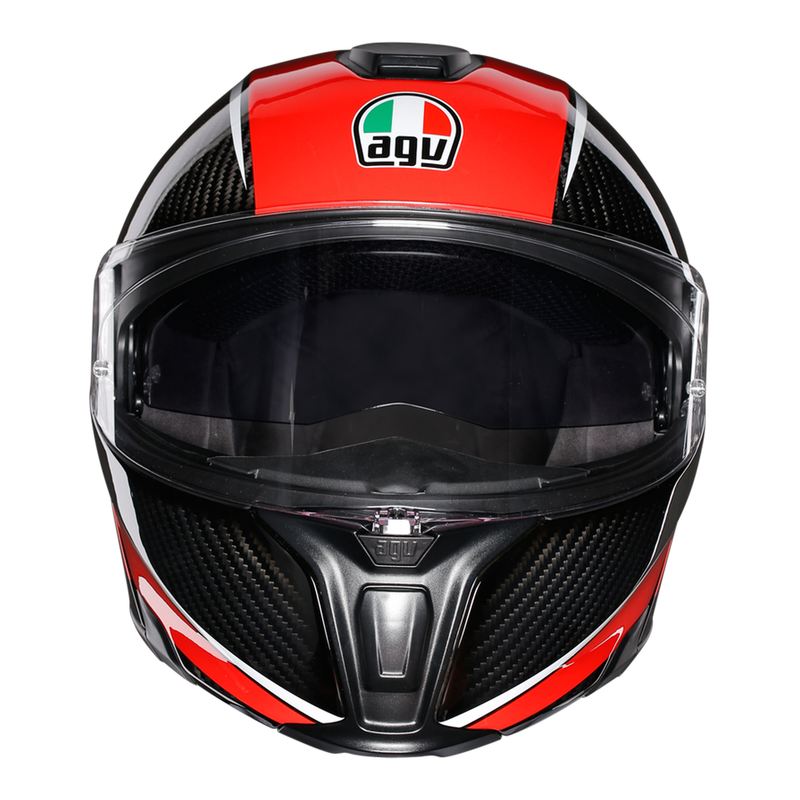 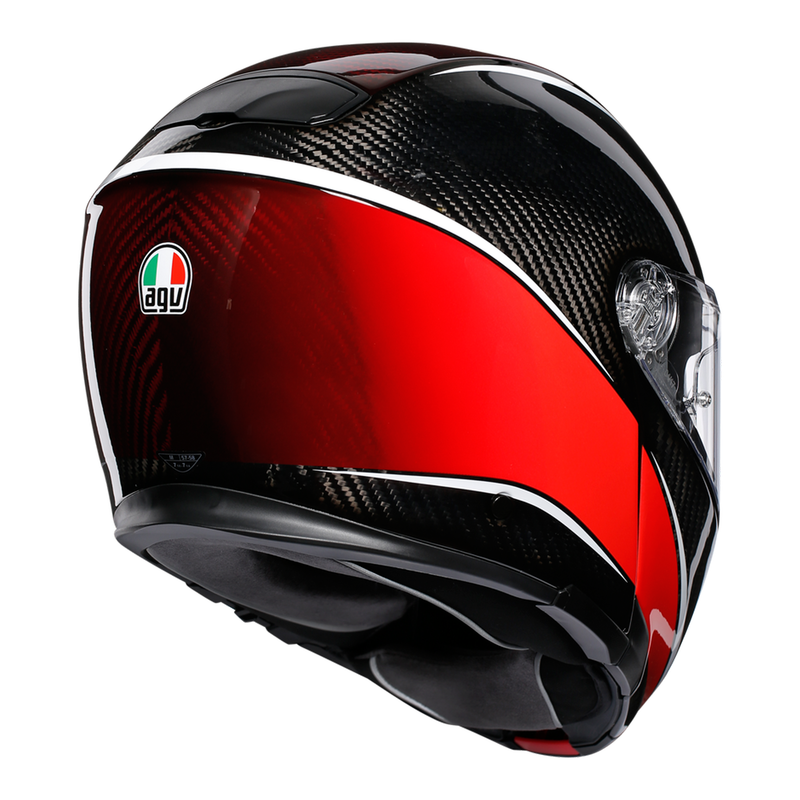 The worlds first Sport Modular helmet, now in an aero Carbon red colourway. 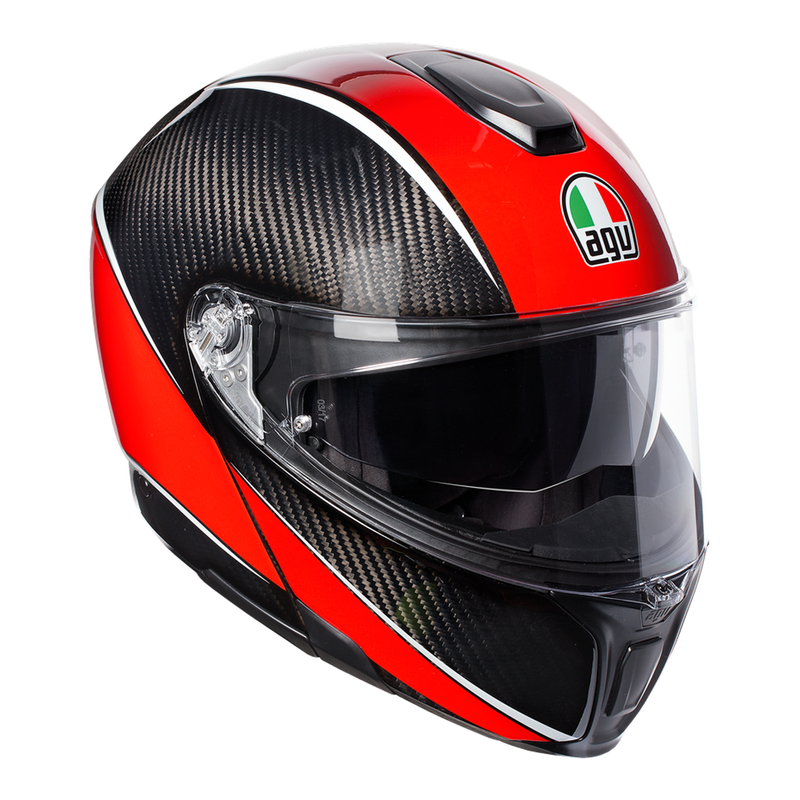 Entirely built in carbon fiber (shell and chin), this specific structure achieves the same protection performance of MotoGP's Pista GP R in an incredibly light weight construction, combing the highest levels of comfort and safety. 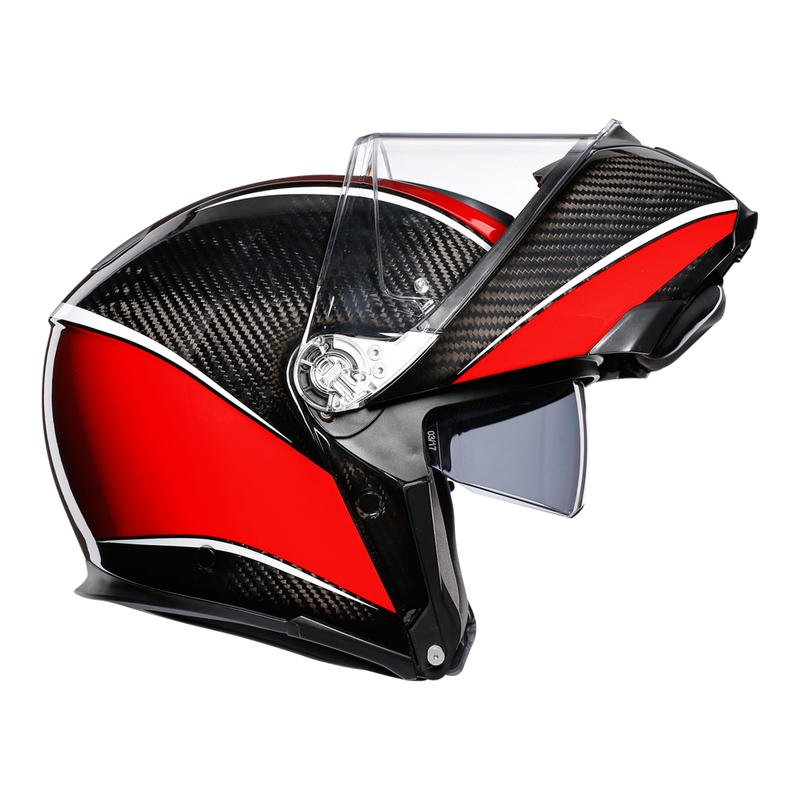 Designed to offer 190 degrees of horizontal view as the human eye capability, Sport Modular has been conceived in the wind tunnel for superior quietness, aero stability and ventilation.